The Indian Orthodox Church (also known as Malankara Orthodox Syrian Church, Orthodox Syrian Church of the East), is a prominent member of the Oriental Orthodox Churches family. The Church traces its origins to St. Thomas the Apostle, who came to India in AD 52. St Thomas preached the gospel, established 7 parishes in Kerala in Southern India and ordained priests. Christian writers and representatives of the Churches, from the 4 th century refer to the evangelistic labours of St. Thomas in India, during the first century. Official name of the Indian Orthodox Church – Malankara Orthodox Syrian Church – can be explained as: ‘Malankara’ is another name for Kerala, ‘Orthodox’ is the category of Christian faith and tradition it follows (distinguishes it from the Roman Catholic and Protestant faiths), and ‘Syrian’ comes from the Syriac language which was the liturgical language of the church for centuries. The church which St Thomas established remained as a strong community within Kerala for 19 centuries, without expanding itself to other parts of India. From the early parts of the 20 th century, as many people migrated to other parts of India, parishes started coming up all over India. As a result, the Church is presently known as Indian Orthodox Church. Now the Church has dioceses and parishes in most parts of India as well as in other parts of the world where Keralites are migrated. The Church has its head quarters at Kottayam, Kerala. The present head of the Indian Orthodox church is H.H. Baselius Mar Thoma Paulose II. The official title of the head of the Church is “the Catholicos of the East seated on the throne of St Thomas and the Malankara Metropolitan”. The Church is ruled and governed by the Church Constitution of 1934. True to the orthodox Christian tradition, the Indian Orthodox Church employs an administrative system which is a perfect blend of episcopacy and democracy. The Church is divided into 25 dioceses with a bishop heading each diocese. The Malankara Syrian Association is the parliament of the Church which is a body of bishops and elected laity and clergy representatives from all the parishes. This Association meets on special occasions to take important decisions pertaining to the entire church. The Church, though modern in its vision and outlook, keeps the traditional Orthodox faith and liturgy. It accepts the first three Ecumenical Synods. In earlier days, the liturgy used by the Church was adopted from the Persian Church, which had to be abandoned at the Portuguese compulsion at the end of 16 th century. The liturgy now in use is the translation of the Syrian liturgy adopted from the Antiochian Orthodox Church in the 17th century. Today the Church uses Malayalam as liturgical language in Kerala, respective local languages in other parts of India and English in outside India. The Indian Orthodox community inherited many aspects of Indian civilization and they are as any other member of any other community in India, in their customs, manners and life style. Since the Old Testament times Kerala had trade relations with West Asia. These trade routes later enabled Christianity to reach Kerala that the Apostle Thomas preached the Gospel to the locals (which included Jewish settlers in Kerala), baptized many, ordained priests and founded seven churches. These seven villages became epicenters of Indian Christianity and other parishes started evolving from these seven mother parishes. The Indian Church came in contact with the East Syrian Church, possibly from the 4 th century. In 5th century, the Church of Persia came to its own. The Catholicos with his seat at Seleucia-Ctesiphon began to be called Patriarch. In 486 AD, the Persian Church officially accepted a resolution in its Synod to recognise Nestorius as a Saint and Church Father. However, this decision was not accepted by a minority, who acknowledged a Catholicos at Tagrit in northern Mesopotamia as their spiritual head in 629 AD. The Indian Church maintained its autonomous administration. The Church of Persia had a tradition of acknowledging the autonomy of Churches in its communion abroad. The church in Kerala continued as an administratively independent community till the first century. The priests who came during the Portuguese invasion were eager to bring the Indian Church into communion with Rome. In the Synod of Diamper in 1599, the assembly to representatives from churches was forced to give up the relationship with the Patriarch of Persia and accept Pope of Rome as the head. But people revolted and the result was the Coonan Cross Revolt (Oath) of 1653. The Portuguese tried to put it down using force, but did not succeed. Then, Rome entered the field directly through its Missionaries and section of people went back to Roman loyalty. The Archdeacon and a majority of the Christian population stood for the autonomy of the Indian Church. In spite of the serious difficulties imposed by the ruling Portuguese, they were determined to conserve the independence of the Church. But the Portuguese were successful in causing a division in the united church in India. The Malankara Christians who sought to preserve the Church’s freedom appealed to the various Christian centres of the East, for restoring its Episcopal succession. The Antiochene Syrian Patriarch responded and sent the bishop Mar Gregorious of Jerusalem, to India in 1665. Meanwhile, the Archdeacon was declared as the Metropolitan of the Church, in the name Mar Thoma, by twelve senior priests laying hands on him. Bishop Gregorious confirmed Mar Thoma in his Episcopal rank and both of them worked together to organise and strengthen the church. Marthoma I was followed by a series of Metropolitans with the same name. This tradition continued till 1816 when Mar Thoma IX was replaced by Mar Dionysious II. The Indian Orthodox Church maintained its autonomy and Episcopal succession intact. Under the metropolitans, the Church established systematic education for clergy, taught faith to the laity and instructed its members to properly celebrate the liturgical services. The association with the Antiochene Patriarch was without any idea of formally submitting to his jurisdiction, but only for an overall spiritual supervision and of keeping to a friendly relation. Co-operation with the C. M. S.
By 1795, the British had established themselves in South India. During the time of Col. Monroe, who was the British Resident in Kerala, Pulikottil IttoopRamban expressed interest in founding a Seminary for training clergy for the Church. The Resident supported him and the Seminary was founded in 1815. In 1816, Ittoop Ramban became a Bishop by the name Mar Dionysious II. Since then, a co-operation between the Orthodox Church and the C. M.S. of the Anglican Church was carried on. It was proved to be unsuccessful and was called off in 1836. But this caused further rifts in the Church and a minor fraction joined the Anglican Church. Yet another section of people who were influenced by the protestant ideologies of the C. M. S. disowned the liturgy and practices of the Church and tried to bring in reforms. After about 50 years of conflict, the reformists had to withdraw and organise themselves as the Mar Thoma Syrian Church. But the majority of the Church vowed to conserve the traditions and liturgical practices. The conflict between the church and the reformists grew serious during the 19th century. Thus the church appealed to the Antochene Syrian Patriarch for help. In 1875, Patriarch Peter III came to Kerala. 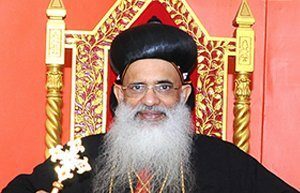 In the next year, the Patriarch held a synod of church representatives at Mulanthuruthy, which adopted a number of resolutions, including an admission that the church would continue in the communion of the Patriarch and the Syrian Church of Antioch. However, the Patriarch tried to see in these decisions, more than what the Indian Church really wanted to acknowledge. There was a litigation in court, between the party that favoured the reforms and those who were against it. It came to an end in 1889, with the judgement of the Royal Court of Appeal, the then highest court of Kerala. The judgement was in against the reformists and the verdict admitted that since the middle of the 18th century, the Patriarch used to exercise an overall spiritual supervision over the Malankara Church and he had a right to claim it. But Patriarch Peter III was not satisfied and wanted to establish himself as the head of Malankara Church in both spiritual and temporal matters. His successor, Patriarch Mar Abdullah II pressed for the same. He visited Kerala in 1909 to establish his authority. But the Church under Metropolitan Mar Dionysious VI of Vattasseril stood against it. This led to a sad division in the church, since 1911, between fractions that supported the Patriarch and the Malankara Metropolitan. In order to preserve the autonomy and to set up a sustainable system, the Church decided to establish a Catholicate in India. This was quite natural in the growth and evolution of the Church to have a Catholicate like its sister churches. 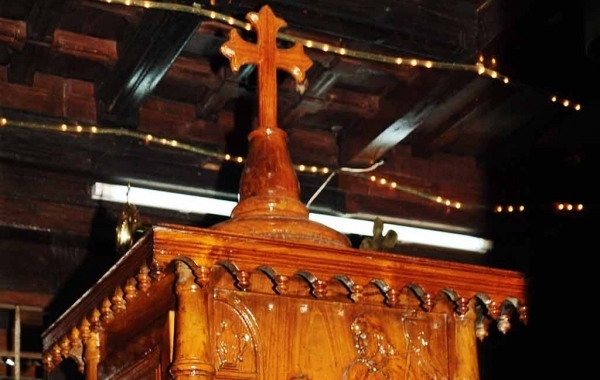 The Malankara Syrian Christian Association of 1934 adopted a constitution for the Malankara Orthodox Syrian Church. Various amendments have been made to it since then. In the history of ancient Christianity, the Churches were independent in their geographical regions, like Galatian Church, Corinthian Church, Philipian Church, etc. All the orthodox churches are autonomous and they known by their national identity like Ethiopian Orthodox Church, Russian Orthodox Church, Rumanian Orthodox Church, etc. In recent history, when Eritrea became an independent country from Ethiopia, the Orthodox Church in that region also became a separate entity known by the name Eritrean Orthodox Church. Being the spirited sons of a great country which fought against colonialism for years, the members of Indian Orthodox Church is also committed to fight against any attempt on its autonomy. Despite several schisms, the Indian Orthodox Church remains a stronghold of Oriental Orthodoxy in the Subcontinent. The Church takes an active role in various ecumenical activities at national and international levels. It is a member of the World Council of Churches. Famous theologians such as Mar Paulose Gregorious, Mar Geevarghese Osthathios, and Rev. Fr.V.C. Samuel, who contributed a lot to the negotiations between the Oriental and Byzantine churches, belong to this church.